JACKSONVILLE, Fla. — Last week I gathered with a group of women at Legacy Ale Works to brew a beer for the Pink Boots Society. While we waited for the wort to boil, we logically gathered in the taproom to have a beer. Shortly afterwards, a couple of guys walked in and did a double take. 15 women sitting at the bar drinking beer must have been a shocking sight! But honestly, it shouldn't have been. Six months ago I might have done a double take too, but that was before I found the Craft Beer Girl Gang, a nationwide Facebook group for women in beer. Officially the group is called Craft Beer Girls Beer & Body and I had to hesitate because I originally thought it was a group for woman who work out and drink beer but I quickly learned this might just be the most unique group on Facebook. There are no squabbles or disagreements and everyone's opinion is valid and embraced. Let's face it, in today's social media context that's amazing. And the women come in all sizes, shapes, colors and sexual orientation. I'm now an active member, especially in the Florida group. The group was founded by Kate Christensen just two years ago and has grown to nearly 20K members. 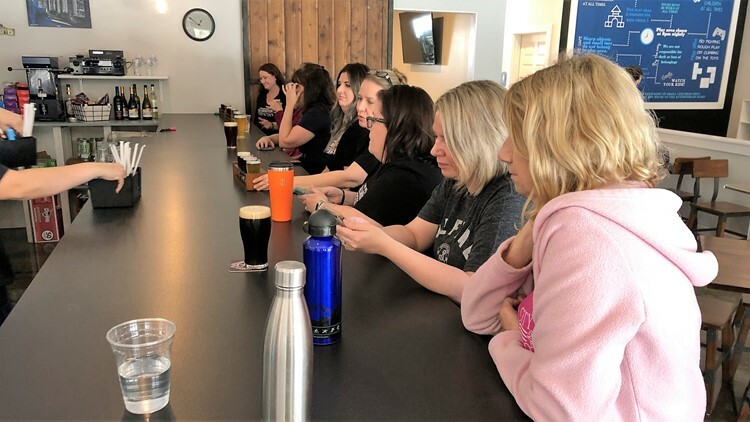 Not just in the nationwide group, but a variety of specialized groups, from individual state groups to homebrewers, fitness, food, crafts, book club and even a pet group all under the Craft Beer Girls name. I asked Kate what led to the creation of the group, she said she changed careers when her husband's job moved. "I wanted to do something I loved, so I decided on Craft Beer! I got a job at a brewery and I had so much to learn. I really just wanted somewhere to go and ask questions and connect with other women who could teach me or who wanted to learn." That is the goal of the groups, educate women on everything craft beer, no matter your level of expertise. "I love helping new or non-craft beer drinkers find a beer, no matter what their taste is or preference of drink. I always say there is a beer for everyone." I asked her about who should join the groups and her answer was the core of what I have seen during my time in the group. "Every beer loving female! No one specific, it is here for anyone who needs it and enjoys it. I get excited about each and every member whatever their role is in craft beer. I love seeing posts and meeting new consumers who are learning or senior female brewers sharing their stories or tips on brewing. It's the diversity of the group that makes it so cool!" 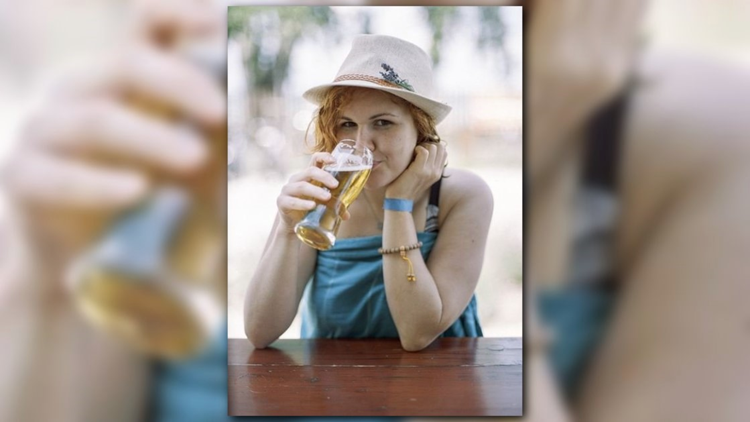 There is more to Craft Beer Girls than just the Facebook page, there is a web page and now even Instagram accounts. Also swag, lots of branded shirts, sweats, hats and everything in between available for purchase. Initially, Kate was printing items through an online site, but quickly she was contacted by Brewer Shirts about teaming up. "One of the owners is in our group. They are a big name in the beer business, but a small business that hand makes their screens and hand prints all items for top quality." Another vendor, Babe and The Beard also came from membership in the group. "...They do all our (vegan) leather and stainless steel items like growlers, water bottles, pint sleeve koozies, bottle openers and more. I love supporting small business, my girl's businesses and they support us so much too!" She says. With all the individual state groups, you can always find the best place to go when you travel. Obviously, in Florida we get a lot of requests for the best breweries to visit. The thing I enjoy the most is meeting the other ladies. We had a meet up at Fishweir Brewing right after they opened. We also visited Auggie's Draft Room in St. Augustine. I have developed amazing relationships with other local girls! There are over 125 Admins in all the groups, who have helped drive the goals of positivity. There's rarely anger in any group. It really started as setting a tone and having rules about what was expected, Kate says. "Not everyone always saw the vision or realized I had to protect this space to keep it great. Now we have so many ladies who know and understand what we are about as a community and almost everyone does their part to maintain the tone." I truly love these groups, they are one of the first things I look for in the morning and the last thing I check at night. I have never felt stupid for asking questions or offering my opinion. And the beer recommendations! Wow! I think this is a great resource for anyone in the area. I encourage the ladies to check out the web page and connect with the groups that interest you.